This cost-effective, all-in-one system performs both thyroid bioassays on your personnel and wipe test counting to meet state and federal regulations. The Cs-137 Rod Source is needed to calibrate the 48-1651TTC Thyroid Bioassay and Wipe Test Counting System. 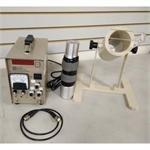 The 200 uCi Cs-137 Vial Source is needed to calibrate the Atomlab 400 Dose Calibrator. 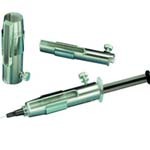 The 3 cc Pro-Tec® II Syringe Shield reduces hand radiation exposure, is thin, lightweight and easy to use. This plastic "Caution Radioactive Materials" sign is available in 3 sizes. This plastic "Caution Radiation Area" sign is available in 2 sizes. 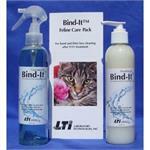 Bind-It products are ideal for general purpose cleanup of nuclear medicine isotopes. It is extremely effective on I131. 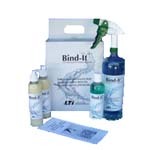 Bind-It decontamination spray is ideal for general purpose cleanup of nuclear medicine isotopes. It is extremely effective on I131. 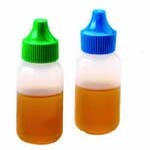 Bind-It Hand Soap works by attracting and binding the isotope and is the ideal choice for Nuclear Medicine Hot Lab use.